Rights groups petitioned the Supreme Court asking to strike down the new law allowing expropriation of private Palestinian land for Jewish settlers. JERUSALEM: Israeli and Palestinian rights groups petitioned the Supreme Court on Wednesday asking it to strike down a new law allowing expropriation of private Palestinian land for Jewish settlers. The law has sparked an outpouring of condemnation from around the world since it was passed in the Israeli parliament late Monday, although the United States has remained tight-lipped. The act, which legalises dozens of wildcat outposts and thousands of settler homes in the occupied West Bank, now faces a legal challenge, however. Israeli group Adalah said that it and the Palestinian NGO, Jerusalem Legal Aid and Human Rights Center (JLAC), sought to overturn the "dangerous" law. "We have very strong arguments against the law," Adalah's lawyer Suhad Bishara said outside the court. "We definitely hope that the Supreme Court will declare that the law is unconstitutional and thus cancel it." The law is seen by critics as promoting at least partial annexation of the West Bank, a key demand for parts of Prime Minister Benjamin Netanyahu's right-wing government. Its backers want to prevent a repeat of last week's traumatic forcible eviction of the wildcat settlement outpost of Amona, in the northern West Bank. Before the new act became law, the Supreme Court ordered Amona, built on privately owned Palestinian land, to be dismantled. Adalah and the JLAC are representing 17 Palestinian local councils in the West Bank upon whose lands Israeli settlements covered by the legislation have been constructed. The new law allows Israel to legally seize Palestinian private land on which Israelis built outposts without knowing it was private property or because the state allowed them to do so. Approved by 60 members of parliament to 52 against, it was slammed by the Palestinians as a means to "legalise theft" of land. "This sweeping and dangerous law permits the expropriation of vast tracts of private Palestinian land," said Bishara. "It violates the property rights both of resident and refugee Palestinians." Israeli Attorney General Avichai Mandelblit has himself warned the government that the law may be unconstitutional and risks exposing Israel to international prosecution for war crimes. He has said he will not be able to defend it before the Supreme Court, and Israeli newspaper Maariv said on Wednesday that he may even testify against it. The United Nations, the European Union and the Arab League strongly criticised the legislation on Tuesday, although the new administration of US President Donald Trump remained silent. "Prime Minister Netanyahu will be here on February 15. I don't want to get ahead of that now," White House spokesman Sean Spicer said, referring to the Israeli premier's planned visit to Washington next week. The US State Department said President Donald Trump's new administration "needs to have the chance to fully consult with all parties on the way forward". Israel's attorney general has said the law is unconstitutional and could open the country up to prosecution at the International Criminal Court, based in The Hague. 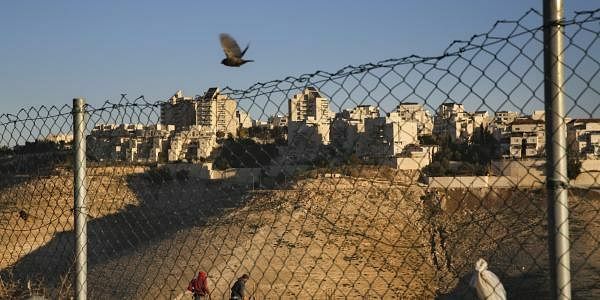 The UN Security Council passed a resolution in December stating that settlements have "no legal validity" and demanding that Israel stop building in the West Bank, including annexed east Jerusalem. Bishara said the new law flouted that resolution. "The transfer of the occupying power's civilian population into occupied territory is a war crime," she said. But Israel's deputy foreign minister Tzipi Hotovely insisted the territory was not occupied. "The underlying premise behind the critics of Israel is that this is occupied Palestinian land. This premise is incorrect," she wrote in an English-language statement. "Israel has both historic and legal rights to this land and the (new) law reaches the right balance between the rights of the Jewish families to their homes and the right of the owners of these plots of land to get compensation," she added. Under the act, Palestinian landowners whose property was taken for settlers would be compensated with cash or given alternative plots. "The legal principle of compensation is known in all western legal systems," Hotovely said. "This principle that Israel adopted this week creates the right justice between the Palestinians and the Jewish families."